Massage onto wet hair, lather and rinse thoroughly. 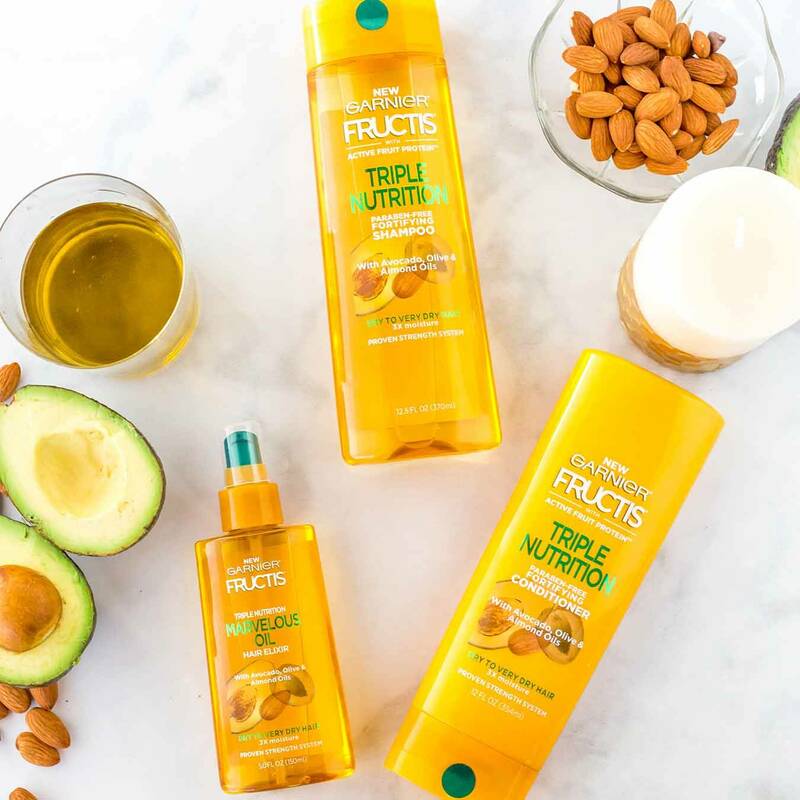 Follow with Triple Nutrition conditioner and leave-in oil. Rated 5 out of 5 by Hairpro19 from Love this shampoo & conditioner I bought this shampoo and matching conditioner and I love it! Makes my hair so soft and shiny and it feels very hydrated. I color my hair and it’s wavy/curly so I like that this had extra oils for moisture. I bought these in the liters from Walmart and couldn’t be happier. The smell is also amazing! Rated 5 out of 5 by Val20glam from Amazing Shampoo I don't know why but this is the only shampoo that removes my flakes. I have literally spent 7 months switching shampoos constantly to get my scalp to stop flaking and itching. This shampoo completly cleans my scalp without drying it out. I would seriously not know what to do if they were to change the formula because it is already perfect. Thanks so much Garnier. Rated 5 out of 5 by Tabbycat from This is my favorite!!!! I left garnier a few years ago, not for anything particular reason long term Relationship was my favorite and i decided to go back to what worked. But unfortunately i can not find it anywhere, but i decided to use this line and omg! Detangling is easy and it smells amazing!! My daughter and I love it! Thank you and i have a mixture of 3c and 4b hair. My daughter has 4c hair. Rated 5 out of 5 by Lynnese from SUPER HYDRATING I really love your product line! 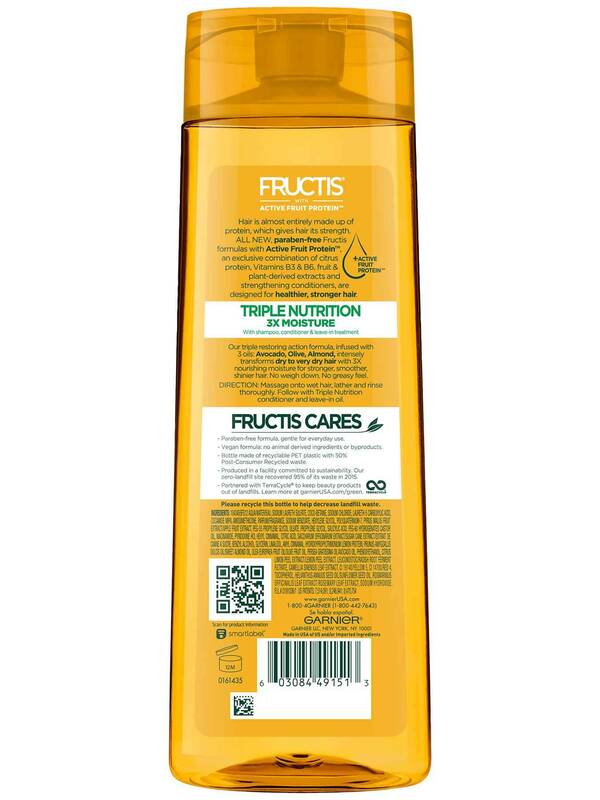 The triple nutrition Shampoo and Conditioner really wows me. 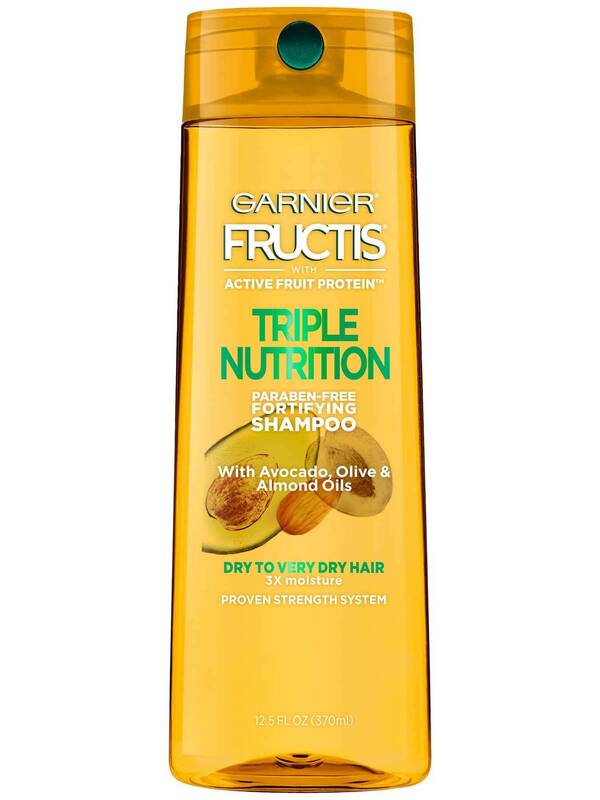 My hair is considered dry but the triple nutrition fixed it and made my hair feel healthy and nourished. Rated 1 out of 5 by KaraHair from Triple greasy This shampoo does not leave my hair feeling clean. It creates greasy clumps. Unfortunately I have two bottles because it was on sale at Walgreens, now I understand why they are trying to get rid of it. Rated 5 out of 5 by Lovelyplumb from BEST EVER So I used to use L’Oreal products but sis, I had to switch to Garnier!! I bleached my hair and left it crunchy and dry and ugh just awful. But their products saved me!! Especially this shampoo!! I mixed it with the grow strong conditioner and my hair has never felt softer or looked better. I recommend this literally everyone. I’ve already bought a lot of Garnier products and I’m sure I’ll be buying many more. Rated 1 out of 5 by Chester320 from AWFUL!!! One of the worst shampoos I’ve ever bought! It did just the opposite of what it claims to do! DO NOT waste your money on this. Extremely disappointed! AWFUL!